Ella Lillaine Langsford was crowned Miss World New Zealand 2013 in Auckland. She is 20 years old and stands 1.77m tall. The new Miss World New Zealand will travel to Indonesia in September to represent her country at Miss World 2013. 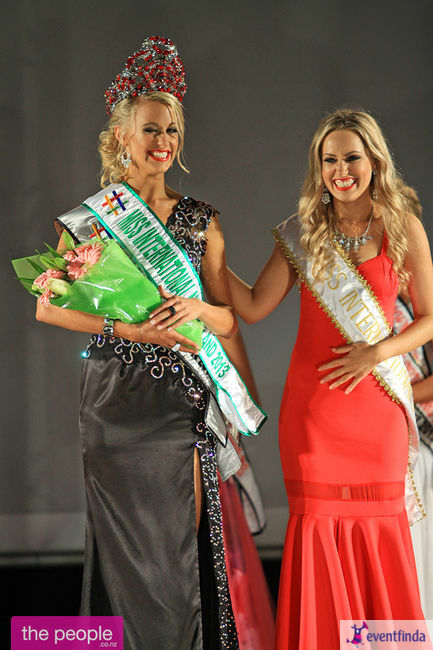 Casey Radley (20) was crowned Miss International NZ 2013. She stands 1.77m tall. Kylie Miller (Miss TQI NZ), Casey Radley (Miss International NZ), Ella Langsford (Miss World NZ), and Rachel Crofts (Miss Top Model NZ) were the top 4. They will represent the NZAPT at pageants around the world. The NZAPT decided to stop sending delegates to the Miss Earth Pageant after the controversies surrounding this pageant. Former Miss World NZ, Mianette Broekman, was one of the judges. The new Miss World NZ in her opening number outfit. Ella Langsford in her national costume. Miss World New Zealand shows off her amazing figure. I have a feeling that this girl will do really well at Miss World. She should definitely wear her hair down like in the photo of her in her gold opening number outfit. She is really stunning.